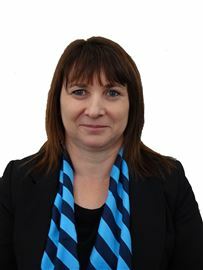 Susie's real estate career commenced in Waimate in 1992 with an independent company which opened a new office to coincide with the first wave of dairy conversions in the area. Following a move to Mid Canterbury she studied for the Branch Manager and Associate qualifications and upon purchasing a farm at Fairlie with Paul and their two sons, formed a boutique company in a partnership called Mackenzie Country Real estate which serviced Fairlie, Tekapo and Twizel. After selling that shareholding she was approached by a co-operative to establish a presence in South Canterbury, and subsequently their first stand-alone office in Tekapo at a time of frenetic development in the town. The opportunity to fill a new sales managers role with PGG Wrightson arose in 2007, with responsibility for Mid and South Canterbury. 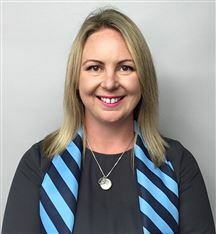 After more than 10 years at PGW and a brief 'holiday' she made the move to Harcourts, Timaru and Ashbury 'Simply the best' ever, what a team, and opportunity to work with over 20 of the top performing people in SC property. Looking for a straight up, honest and friendly Property Consultant? Look no further. Being motivated, enthusiastic with a positive attitude, I am able to help YOU achieve the results YOU desire. Call me to either keep you up to date with listings, or for a FREE market appraisal on your property. With more than 29 years of knowledge and experience in the industry, and a recipient of numerous awards, Ann is a top-performing sales professional. Her many achievements over the years come from her desire to succeed for her clients and her determination to deliver the highest level of service and the best possible results. Ann shares the Harcourts vision—to be the best real estate service provider in the area. As a result, the high percentage of repeat business and recommendations that she has consistently received from her past clients has brought her huge job-satisfaction over the years. 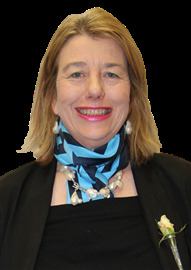 Ann is a trained and experienced Auctioneer, she has a Graduate Diploma in Business Studies (Real Estate) from Massey University, and has AREINZ status. While furthering her knowledge and qualifications Ann studied real estate at University part-time in 2005 and 2006 and worked in real estate management. She spent four years leading and managing award-winning offices in both Auckland and Christchurch. Born and bred in rural South Canterbury, Ann is passionate about the area and has a love of the country-life and adventures in ‘the great outdoors’. Combined with her many years of living and working in Timaru, Ann is able to offer her clients a wealth of local knowledge and expertise. Barbara's is a real people person, with over 17 years experience as a Real Estate Agent for Harcourts Timaru she thrives on being able to do her job professionally and communicate with members of the public. You will find her approachable, honest, enthusiastic and willing to go that extra mile whether buying or selling. After 20 years’ experience working in a variety of sales and management roles in the plumbing and mortgage industries, Jacqui Fraser entered the real estate industry in 2007 and has never looked back. Being a “people person” this is a career move Jacqui is thoroughly enjoying and believes that forging strong client working relationships based on responding to clients’ needs are of the utmost importance. She is passionate about real estate and loves the challenge of being involved in vital and important decisions and prides herself on her negotiation and communication skills and her honest and professional approach. Backed by the Harcourts brand, systems and support, Jacqui has established an excellent reputation with a growing client base in the Timaru area where she specialises in residential/lifestyle real estate marketing and sales. Jacqui appreciates that all clients have different needs and she has the skills, resources and flexibility to customise her service to ensure her clients achieve the best possible results. A “local” to Timaru, Jacqui is married to Mark and has three sons – Cameron, Samuel and Mitchell who keep her busy following and supporting rugby, soccer, rowing, tap-dancing and music. Her interests include going to the movies, cross stitch, reading and food. If you want to have an enjoyable and successful real estate experience with someone you can trust, who will make the process of buying or selling property as stress-free as possible, then talk to Jacqui about how she can help you to achieve your real estate goals. Let her enthusiasm for exceeding customer service expectations work for you now. I have been helping people buy and sell property since 1993, and have made many lifelong friends along the way. My aim is to make the selling process as painless as possible and getting a great price for you. For buyers, I take pride in matching them up to a property that they often stay in and love for many years. I look forward to helping you with your next Real Estate transaction. The calling of Real Estate has come around eventually for Julian Blanchard after a number of roles and jobs that all have one common factor – people. Julian is a people person, from spending time on the radio hosting sports and music shows, being an in demand Master of Ceremonies, helping local charities as an auctioneer, political candidate and working in sales and marketing roles or over 25 years Julian has developed a rapport with people that has seen him prepare for the job he was made to do – marketing your property. A Timaru born and bred local Julian’s parents Graeme and Cheryl are also well known Timaru people through cricket and music. Julian’s Grandfather Sir Basil Arthur was the Member of Parliament for the area from the late 1960’s until 1985. Educated at Timaru Boys High School, Julian attended the University of Otago where he received an Honours Degree in International Politics and History. In 2012 Julian accepted an invitation to join the team at Harcourts. His attitude and energy alongside his communication skills were a natural fit to the existing team of high performing agents. Recognition and awards followed including winner of Harcourts most Promising Auctioneer in 2013 despite having never called a live auction. He is currently Harcourts Blackham and Co’s Number One performing agent, but the award he is most proud of is the Number 1 Listing Agent for Harcourts in New Zealand for the last year. More people trust Julian with their property than any other Harcourts agent in New Zealand. You should as well. With over $100 million dollars worth of sales since starting real estate in 2012, Julian has become one of the leading real estate agents not only in the region, but also the country with his success and drive to work hard for his clients. As a result of commitment to hard work and excellent communication skills Julian has a loyal following of clients who can provide you with excellent references showing his level of customer service. His integrity and commitment have seen Julian recognized by the REINZ by being their Ambassador for all the real estate companies in the region. With his involvement in local charities as well as sporting organizations his networks and people he knows from living & working here are natural synergy with real estate that has led to his success. Julian is now not just alone in his real estate career employing Meghan as his Marketing Assistant, Ro as his Sales Assistant and India as his Personal Assistant, to help him manage his time and working alongside clients to get results. “My job is to market houses and sell houses and my team help me achieve that by allowing me to spend more time doing what I enjoy doing and to show homes to people” Always positive and ready to work hard for his clients is what Julian is about. If you are looking for someone to work for you, then contact him today. A Timaru born and bred local Julian’s parents Graeme and Cheryl are also well known Timaru people through cricket and music. Julian’s Grandfather Sir Basil Arthur was the Member of Parliament for the area from the late 1960’s until 1985. Educated at Timaru Boys High School, Julian attended the University of Otago where he received an Honours Degree in International Politics and History. In 2012 Julian accepted an invitation to join the team at Harcourts. His attitude and energy alongside his communication skills were a natural fit to the existing team of high performing agents. Recognition and awards followed including winner of Harcourts most Promising Auctioneer in 2013 despite having never called a live auction. He is currently Harcourts Blackham and Co’s Number One performing agent, but the award he is most proud of is the Number 1 Listing Agent for Harcourts in New Zealand for the last year. More people trust Julian with their property than any other Harcourts agent in New Zealand. You should as well. With over $100 million dollars worth of sales since starting real estate in 2012, Julian has become one of the leading real estate agents not only in the region, but also the country with his success and drive to work hard for his clients. As a result of commitment to hard work and excellent communication skills Julian has a loyal following of clients who can provide you with excellent references showing his level of customer service. His integrity and commitment have seen Julian recognized by the REINZ by being their Ambassador for all the real estate companies in the region. With his involvement in local charities as well as sporting organizations his networks and people he knows from living & working here are natural synergy with real estate that has led to his success. Julian is now not just alone in his real estate career employing Meghan as his Marketing Assistant, Ro as his Sales Assistant and India as his Personal Assistant, to help him manage his time and working alongside clients to get results. “My job is to market houses and sell houses and my team help me achieve that by allowing me to spend more time doing what I enjoy doing and to show homes to people” Always positive and ready to work hard for his clients is what Julian is about. If you are looking for someone to work for you, then contact him today. People in South Canterbury may already know Juliet through her business and sporting profile in the South Canterbury area and her support for many groups within the local community. In 2014 she had the honour of being appointed by the International Triathlon Union as Technical Delegate for triathlon at the 2016 Olympic Games in Rio which sees her organising and overseeing the sport of triathlon at the Olympics. 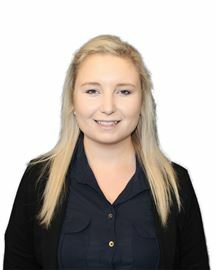 Juliet joined the Harcourts Timaru team as a sales consultant in 2014 and gives her the opportunity to use her local knowledge and superb business skills for the benefit of buyers and sellers of real estate. Juliet welcomes your calls to discuss buying, selling or to get a free market appraisal of your home. Stewart has over 29 years experience in Real Estate including more than 16 years as a Sales Manager. 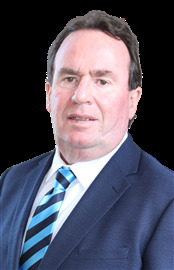 He has a comprehensive knowledge of the Timaru market and surrounding areas, so whether you're looking to buy your first home or a million dollar mansion, call Stewart at Harcourts Ashbury for professional, friendly assistance. 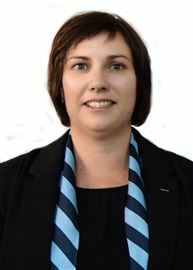 My name is Tracey Shaw and I’m part of the team at Harcourts Blackham & Co Real Estate. I grew up in Clyde, Central Otago but have chosen to live and bring up my own family in Timaru for over 20 years now. I have always had an interest in real estate and have been a licenced agent since I was 23 and this has given me extensive knowledge and experience of the local market. I love meeting and talking with new people and take pride in working hard to get the results that my clients are looking for. As well as being part of the wider Harcourts team I also have a personal team working with me to bring you the highest level of service that will have your property in mind as we look to get the best possible outcome for you. With over 21 years experience, Warren has extensive knowledge of the South Canterbury residential and lifestyle real estate market. As a skilled real estate professional, he has a determination to succeed and make things happen for all his clients, accepting nothing less than the best possible price. He would be delighted to meet with you to discuss your real estate requirements, with an obligation-free market appraisal and insight into the marketing options for your property, to ensure maximum exposure required to achieve a successful sale, at the highest price and within the shortest and stress-less timeframe. 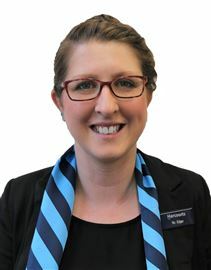 Meghan has over 4 years experience in the real estate industry in administrative support roles. Her organisational expertise & attention to detail makes her an invaluable part of Julian’s team. 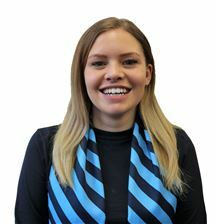 Her role as Marketing Assistant ensures a dedicated person in making sure the marketing of your home is correct & the materials we use are first class, therefore showcasing your property to the best it can be. She joined Julian’s team in 2017 as his PA and quickly became vital to the business and a key factor to his success in 2017 and 2018. Obtaining her real estate license in 2018 shows her passion for the industry and a bright future ahead. This has got the Wow Factor! Garaging Galore - Snap Me Up! Affordable Luxury - New Build! Rent, Retreat, Retire . . .
Quiet Street, What a treat! Behind the door 'It's Magic'! Location is always the Key!